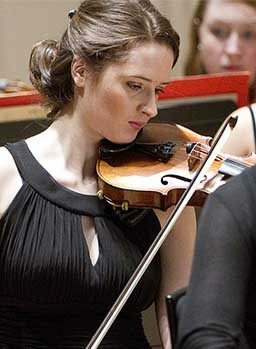 Award winning alumna Cora Bissett started her career in a band supporting Radiohead on tour before coming to RCS to study Drama. After graduating she carved out a successful career as an actress appearing on stage and screen throughout the UK, before moving to more directorial roles. Since founding her company Pachamama she has won awards and plaudits for her work, including an Olivier award for outstanding production for Roadkill in 2012.Other work includes, Glasgow Girls, Grit, and Whatever Gets You Through the Night. Below is an interview Cora gave RCS in 2015. Rites is about to go on tour in May, how did you get involved? It came about through my relationship with the Scottish Refugee Council (SRC), who deal with all the new asylum seekers in Scotland. That’s an area that I am very interested in exploring because I don’t think we have enough diversity on our Scottish stages both in actors, writers and the stories that we are telling. About five, six years ago when I started up my own company (Pachamama) that was one of the motivating factors: to connect with other communities in Scotland, and particularly Glasgow, that I didn’t feel were being represented in any way. After I did Glasgow Girls I went back to the Scottish Refugee Council and we had a de-brief and discussed what the new stories are that need to be told. The message that I was getting very strongly was that Female Genital Mutilation (FGM) was happening in Scotland. Over the past decade, the whole demographic of the country and particularly Glasgow has shifted. We’ve got whole new migrant communities that are living here, which I love, I celebrate diversity. However with that comes very different cultural practice and two worlds clashing. So did you have to do quite a lot of research into this issue for the show? Yes, tons! The whole piece is largely verbatim. There are a couple of small sections that are dramatised slightly, but based on the true stories. 90% of the stories in the show are absolutely the words of the people that I have spoken to. There’s a mixture of about 40 different interviews that we’ve done up and down the UK, myself and the other co-creator Yusra Warsama. As well as that we’ve just been reading everything we can find online. There’s been a lot of media coverage recently, in the past year FGM has become such a hot topic. There are something like 130 million women in the world right now who are living with the effects of FGM. There are huge sections of Africa that perform it, but then also huge sections that don’t; it’s just not part of their culture. 90% of women in Egypt are circumcised, but then you could have a country next door that might not practice it at all. Working with SRC on Rites did you get to show your work to the people affected? Very much so, that’s a big part of making this work. I think particularly working as an associate with the National Theatre of Scotland there is a huge responsibility on a national theatre company to connect with diverse communities. Whether that’s to nurture and develop new young actors and writers, or to audience develop and make work accessible for new audiences. Scottish Refugee Council put us in touch with various groups from FGM practicing backgrounds who might be interested in coming. However you’ve also got barriers there because for a lot of the women who come from those communities, it could be very dangerous for them to be seen going out to a play about FGM. We’ve deliberately created women-only performances, because a lot of women might have come from a Muslim background – so we are trying to make a place that feels comfortable and safe for them: they wouldn’t be allowed to sit in a mixed audience. We’ve connected with male groups who are from all sorts of different backgrounds, we’ve been doing workshops with them talking openly about FGM. That’s been really heartening as well because a lot of those men are very against it. There are a lot of positives coming out of this story; it’s not all doom and gloom. A lot of your work comes from devised pieces, what attracts you to this form of working rather than with a traditional script? They are always semi-devised. Nearly every job I’ve done recently I have worked with a writer as well, but maybe not at inception. I never just go and commission a writer to write a play and then put it on, it’s always a very collaborative thing. I think it’s just the way my brain works. I come up with an idea for a show that I really want to do, and I can feel the energy of the story, I have a passion to tell that story. I love working with a writer, because I don’t just sit down and write, I can devise and create scenes but I’m not someone that actually sits down and writes plays. I think I just need to be part of a collaborative process and I think for me the visuals, sound and words have quite an equal weighting. Do you think that comes from having started off your career in a band? I think it probably does have a large effect on my way of working. When you’re in a band no one comes in with sheet music and says right here’s the bass part. You kind of just go with the flow. I think that quite organic way of working was probably quite formative for me and has fed into everything I’ve done since. So do you consider yourself an actress, director or musician? Or a bit of all of them? It’s funny, I suppose I would have called myself an actress for about 14 years after graduating, I went down the jobbing route but I always knew I wanted to create work. After graduating I did become a little bit more conventional, working as a jobbing actress, but then the hunger and the monster in the back of my head reared up, and I stepped out of acting for a while. It came from two things: a passion to connect with something bigger than myself. I was getting frustrated with being in the passive position of waiting for jobs to come up, but also looking at what was going on in the world politically. It was around the time when there was the first terror attack at the airport. I woke up one day and thought, ‘I don’t have any Muslim friends, in fact I don’t have any Asian friends, why don’t I have any Muslim friends? I purport to be this open minded person, but why are all my friends white actors? !’ So the move out of acting came from a coming together of life questioning and work questioning. I became the Outreach Officer for Ankur Productions who are committed to improving diversity in the arts, and I started to do a lot of community work. A lot of people at the time thought it was a strange choice because I was doing well with the acting by average standards but it just wasn’t cutting it for me at all. Taking the job with Ankur Productions was the best thing I could have ever done because it brought me into a whole new domain and I started connecting with things that I was interested in and passionate about. In a round-about way I came round to making Roadkill through that, which has just opened up every door for me since.